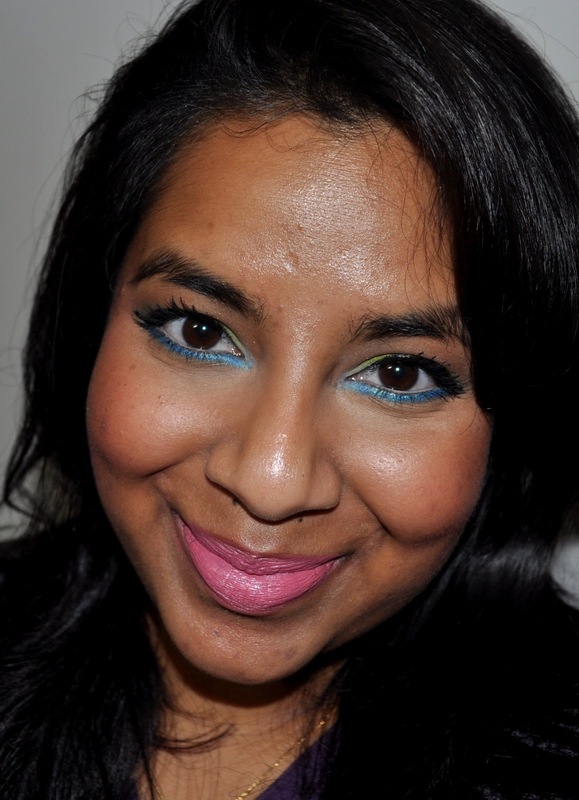 I fell in love with Nicki Minaj’s super bright and fun makeup look on the promo pics for the Viva Glam Nicki so I decided I would attempt to recreate it using NARS Rated R eyeshadow duo. The shades didn’t have the same ultra neon edge that Nicki’s do but it was still fun to do! Some false lashes would have finished this look off but I didn’t have any that were extreme enough. Not a look I’d wear out but great for a Nicki Minaj costume or an 80’s party! 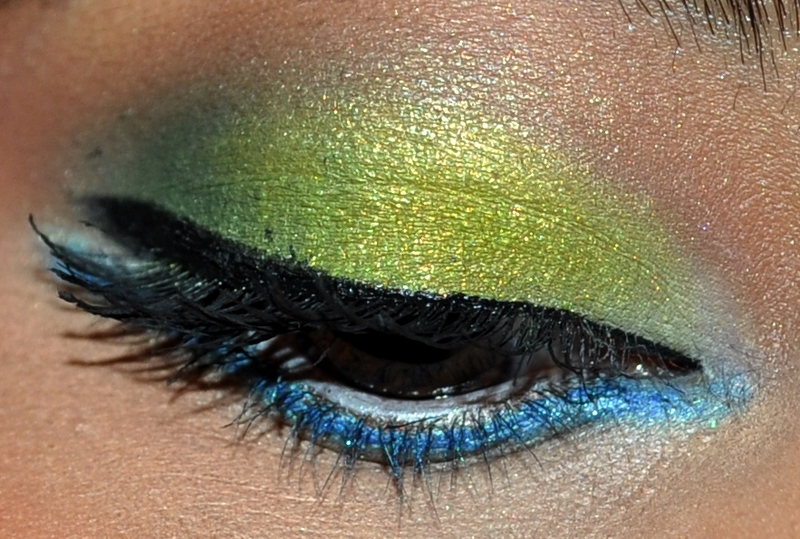 Wow, this is a bright and beautiful look! 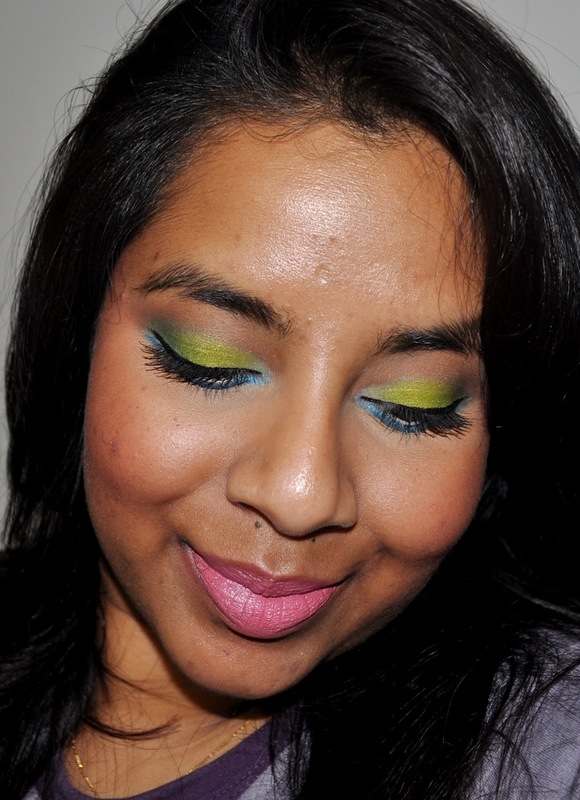 ♥I love this combination of bright shadows and this Nicki lipstick! Thanks Juliana! I would wear the eye out or the lips out but not both together because I'm not adventurous enough for that yet! Thanks Natalie 🙂 I love the promo image and it doesn't look too OTT for a Nicki Minaj look. Megan: Thank you 🙂 I think the tones in the Rated R duo make the look more wearable than using the full on neons. Thanks Michelle! 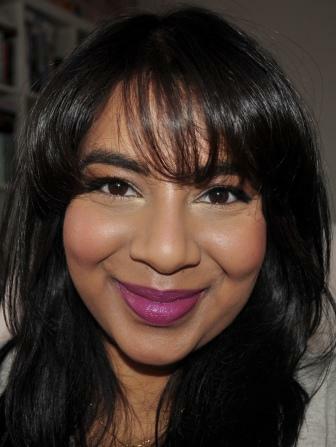 Lol this whole look is a pop of colour but bright shades on the lashline is one of my fave things to do.gigglegirliegang: Thank you! I was worried the blending wouldn't work but MAC Humid blends realy well with most greens and yellows.Vita: Thank you 🙂 I'd love to see how these kind of colours would look against your skin tone. 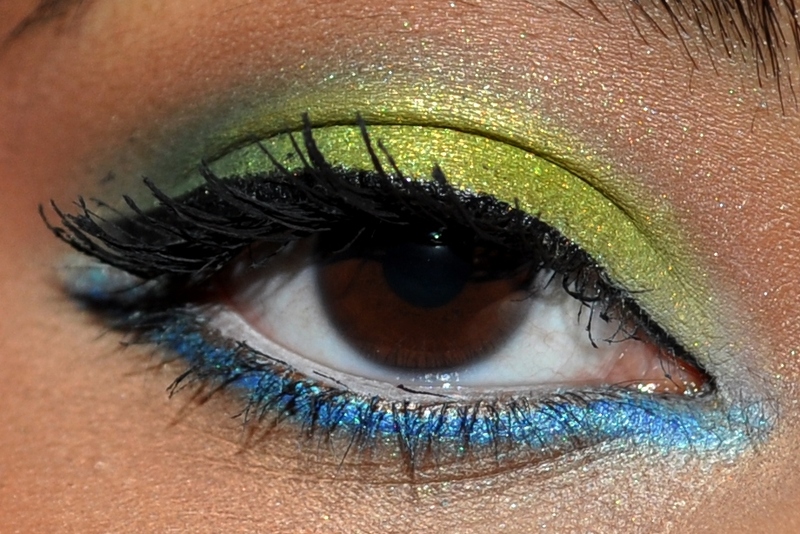 EOTD perhaps? Ps: I'm completely envious of your beautiful green eyes!